LANXESS is digitally transforming its business and processes across the entire value chain. Activities range from improving the collaboration with suppliers, producing products more efficiently, to need-oriented interacting with customers. 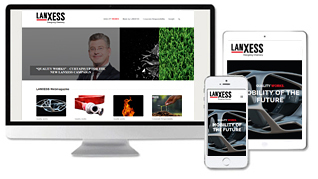 On March 14, 2019, LANXESS published its full year 2018 results. Here you can find the download of the Annual Report 2018 and the webcast record of our Annual Press Conference. Specialty chemicals company LANXESS is showcasing its new Lewabrane HP membrane elements for the first time in India at Water Today’s Water Expo in Chennai from 21- 23 February, 2019. Specialty chemicals company LANXESS presented its comprehensive range of leather chemical products at the India International Leather Fair (IILF) in Chennai, India between February 1 and 3. Specialty chemicals company LANXESS presented its broad range of additives for the rubber processing industry at the India Rubber Expo 2019. Specialty chemicals company LANXESS is strengthening its asset base in India. The company plans to invest up to INR 1250 crores till 2023. Focus areas of the investment will be the businesses for chemical intermediates, high-performance plastics and water treatment products. LANXESS is to be represented in two Dow Jones Sustainability Indices again this year. Starting from September 24, 2018, LANXESS will be listed in the Dow Jones Sustainability Index (DJSI) World for the eighth time in a row. The group will also be included in the DJSI Europe again. LANXESS plans to sell its remaining 50 percent stake in ARLANXEO to its joint venture partner Saudi Aramco. The two companies, that founded ARLANXEO in 2016 as a 50:50 joint venture for synthetic rubber, signed a respective agreement today. Neelanjan Banerjee, age 45 years, will be the new Country Representative and Managing Director for India effective September 1, 2018. He will assume these tasks in addition to his current function as head of the Advanced Industrial Intermediates business unit (BU AII) in India. Specialty chemicals company LANXESS presented its comprehensive range of leather chemical products at the India International Leather Fair (IILF) in Chennai, India. On an exhibition space covering 135 square meters the Leather business unit showcased its extensive portfolio for manufacturing leathers for the footwear, clothing, furniture and automotive industries. Two reasons for Saltigo to celebrate: The Central Organics Pilot Plant (ZeTO) run by the custom synthesis specialist can look back on 50 years in operation at the Leverkusen site. In time for this anniversary celebration, work also was completed on the extensive expansion and modernization project started in 2015. Each year on October 24, the United Nations (U.N.) commemorates the inception of its Charter in 1945. Motivated by the desire to create a livable world, the United Nations therefore in 2015 adopted a total of 17 goals for sustainable development that all countries will attempt to implement by 2030. 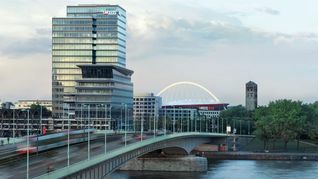 LANXESS, too, makes diverse contributions to all goals. Inline skates provide enjoyment for nearly everyone. The wheels of inline skates have to withstand a lot: jumping, braking, fast changes in direction – and despite all that, they still need to have a long service life! 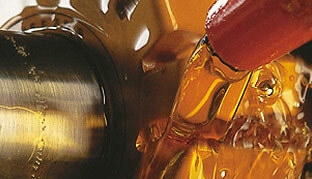 Lubricants are indispensable in industry. 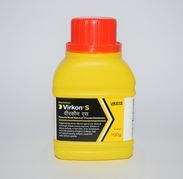 Greases and oils perform critical functions, ensuring that engines and machines run perfectly smooth. Among the focal points of LANXESS’s Additives business unit are lubricant additives and synthetic lubricants for industrial applications such as in metal-working, power generation and aerospace.